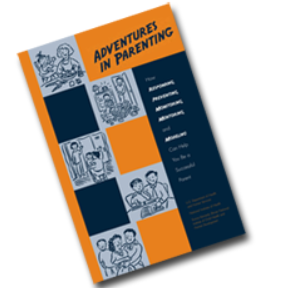 To get a FREE Adventures In Parenting Book click add to your card and checkout, shipping is free. Your order should arrive in 2 to 3 weeks. This offer is available again! This is a book I would like to send to my daughter who most recently I gave her children back to her because of health conditions – otherwise I would of continued…I am very sick and I still feel if I was gonna live longer I would of continued-now I am worried after 1 week! God Forgive me-she is their mother…God help me! Someone needs to keep an eye on her in San Diego just putting it out there? No question about it-legally nothing I could of done-maybe – hopefuly she will read this book! Thank You. I am so sorry for all your troubles. You are in my thoughts and prayers. Thank you for this I got my book in the mail. I love all the freebies you post. You’re the only site I use for updated freebies. I need to read one of these books. Thanks!